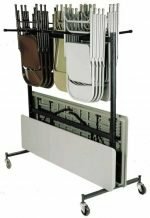 Chair Carts and Dollys are one of the most useful purchases for transporting folding chairs into storage or across the building for party halls, schools, and events. Choose between a hanging, folding or stacked chair dolly in 2 or 4 wheels. 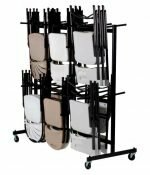 We have so many options to fit your nonprofit organization, church or school needs. Call for details and pricing.